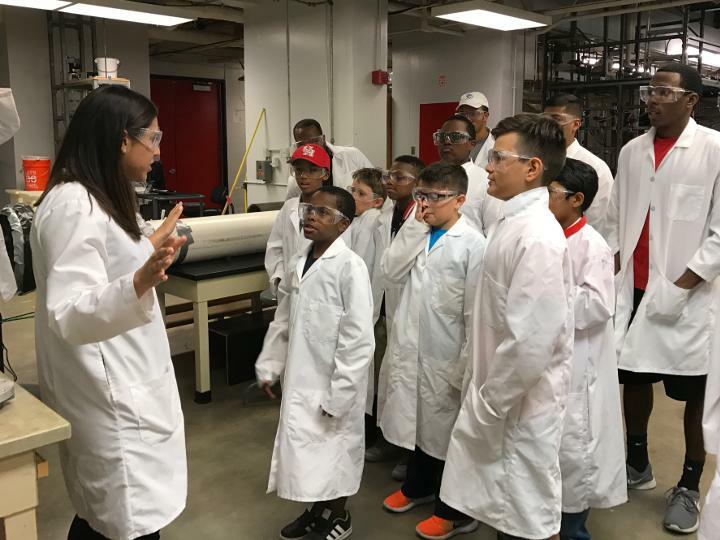 Both the medium and the message are STEM — encouraging fourth and fifth-grade African-American and Latino boys to embrace the cool factor of science, technology, engineering and mathematics through hands-on engineering activities with their fathers and other mentors from the University of Houston. "By then students have an idea of whether or not they like math and science," he said. "We want to change that decision, to say math and science are cool, and there are people who look like you who do math and science." Undergraduate engineering students, along with those from teachHouston, a UH program to train students to teach math and science, meet with the younger students twice a week. Fathers or other male family members join the group for an engineering project on Saturday mornings. Engineering students serve as mentors for boys whose relatives can't attend. "It is a platform for family development and family learning, as well as exposure to STEM," Greer said. Snodgrass Rangel will evaluate the student-mentor relationship, seeking to determine if having a mentor, especially one who is African-American or Latino, can change younger students' ideas about a future in science, engineering or another technical field. Participating students' standardized test scores in science and math will be tracked and compared with those of students at schools that did not participate in the program. "This helps us really emphasize the 'e' in STEM," she said. "Our students, even if they are teaching math or science, will really benefit from experiencing teaching the engineering design cycle." Data to determine how well the program works won't be known for several years, but Snodgrass Rangel is hopeful. "We focus a lot on getting women into STEM, which is extremely valuable," she said. "We don't have the same focus on boys of color. Most programs offer academic support. I think the potential of this emphasis on mentors is really powerful."